Gift this beautiful set of two personalized wooden keychains along with a set of four wooden coasters. These will be personalized as per your customization details. Keyring: These are round wooden keychains. These will be engraved as per the personalization details provided by you. The product image that you see, is a design that we have created for the users. You can just replace the customization details in it, to get your own designer and personalized wood engraved keychain. These key rings are of good quality, and the engraving is done using the laser technology. 4-5 keys can easily be put inside the metallic ring attached to the wooden ring. 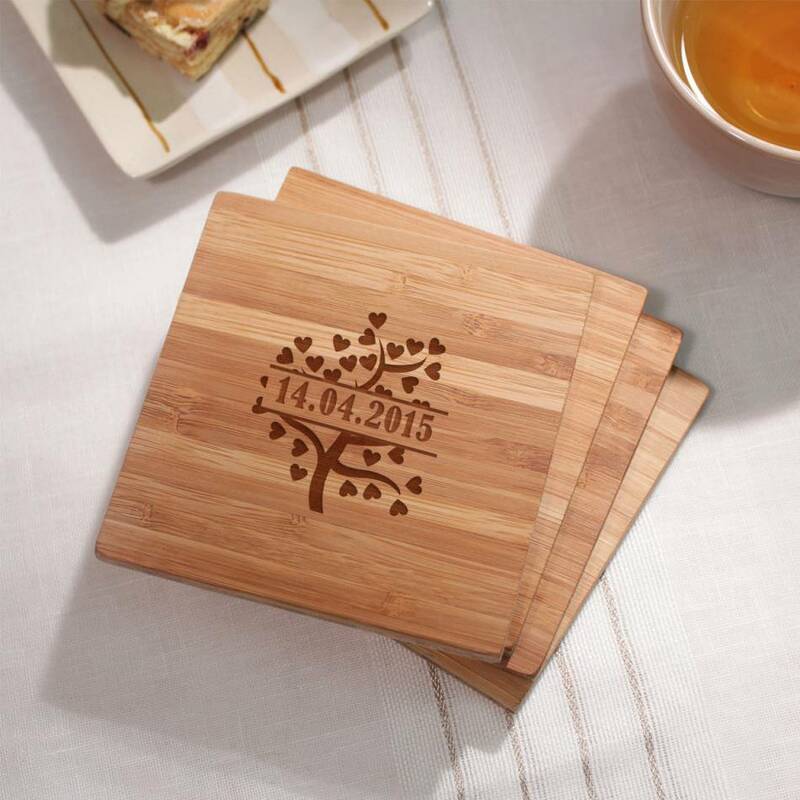 Coaster: Set of four wooden coasters with personalized engraving. If the product you received has defects, we would replace it immediately. If the product has no issue, but you change your mind, you cannot cancel your order after it has been prepared (as these are personalized products). However, if you cancel on time, full money will be refunded in a week.